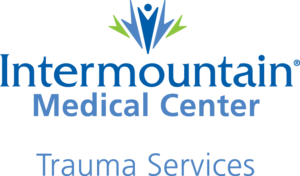 The Utah Trauma Network (UTN) was created in 2003 when trauma leaders from AirMed, Lifeflight, LDS Hospital, Ogden Regional Medical Center, Primary Children’s Medical Center, University of Utah Medical Center and the Bureau of Emergency Medical Services saw a collaborative opportunity to provide advanced trauma education to health care providers throughout the state of UT. What was our primary goal? To save lives. Each year, the annual conference features speakers who are considered experts in the delivery of trauma care. This one day event includes experience filled presentations on a variety of trauma related topics that impact each of us in our professional and personal lives day to day. We invite all health care providers in the state of Utah to join us this year for the 16th Annual Utah Trauma Network conference. More information about the list of speakers, presentations, and registration etc. can be found under the Annual Conference section of this site.